Tonga A put on a brilliant performance to beat Samoa A 30-22 in the second round of the 2017 World Rugby Pacific Challenge at the ANZ Stadium, in Suva, yesterday. Tonga's dominance in the line-out contributed to their win. 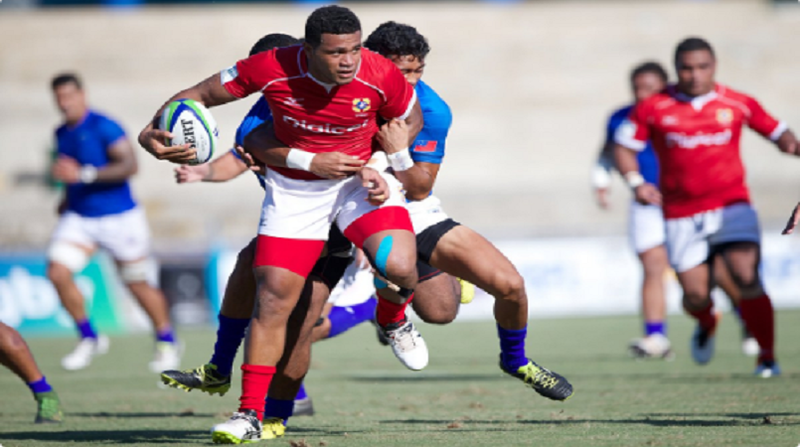 Fiji Times reports Tonga A led 18-7 against Samoa A at half-time. The opening try by Samoa came from Danny Tusitala which was converted by captain Patrick Faapale. Tonga started off with a penalty from James Faiva and a try from Feofaaki Kaumavae which was unconverted. Minutes later Faiva slotted a penalty to put Tonga ahead 11-7 before a converted try to Topui Sekona for 18-7. Minutes into the second-half, a penalty to Samoa by Patrick Faapale narrowed the deficit to 11-10, but Tonga replied with a try to Kaumavae's second touchdown to surge ahead again. Samoa was also awarded a penalty try after Tonga's Constantini Kauvaka was yellow-carded for dangerous play. Tonga coach Isi Fatani said: 'They deserved to win and we've been working hard for this game. We haven't won against Samoa for the past years in Fiji, but this is a great win. I thank the Almighty father for helping us win this game. "Before the game I reminded the boys about discipline because it's very important. I think they did well despite one yellow card." Samoa captain Patrick Faapale replied: "It's disappointing to lose against Tonga, especially when this is the first time we lost to them here."